This statement may strike you as controversial but we'll say it anyway— orange is the new pink. We heard the collective gasp you all took and we understand the current state of shock you're all in. How could any color be more iconic than the feminine blush-colored hue? The color pink stands the test of and will be forever thought of as dainty, soft and ladylike. No color could replace it, although orange is willing to give it a try and Halloween is the perfect season to start. If you're an orange fan, add the fluorescent orange hairspray to your costume. You'll be shining the spotlight on the pumpkin-colored hue while accentuating the costume of your choosing. It's also a prime pick for all your commitment-phobes out there since the spray washes out easily. 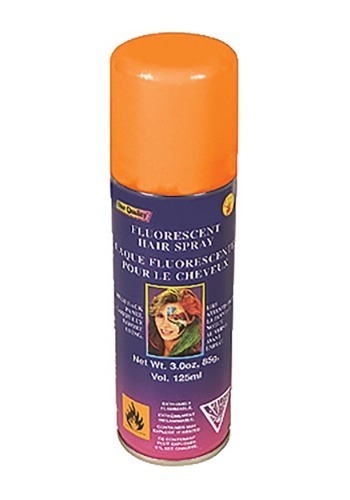 This is a 3 oz can of aerosol spray that temporarily colors any-colored hair orange. Color simply washes out in the shower with warm water and shampoo. Rinse and repeat to remove any lingering color. 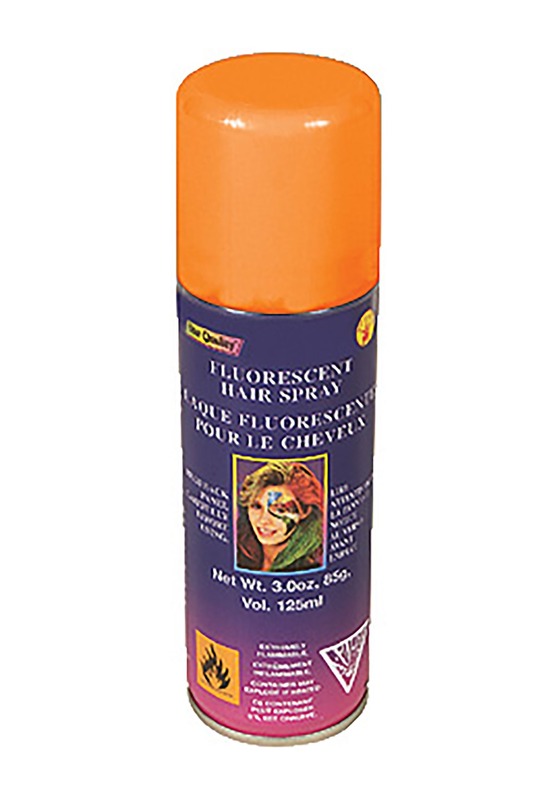 Add this orange hairspray to your cart if you plan on dressing as a clown (funny or scary), the Mad Hatter, or a Pebbles or Wilma Flintstone costume.